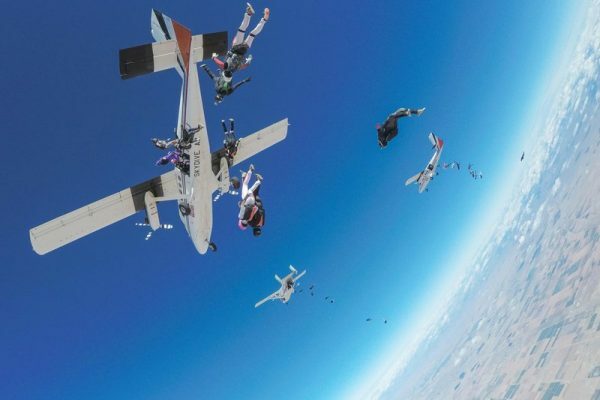 To see the world record jump with 65 women linked together like a human snowflake, heads down falling toward the earth, it’s a thing of beauty. Footage of the record-breaking jump over Arizona was captured by Red Bull in yet another of their death defying videos. But while the attempt might look easy, the actual work that went into making it happen is something extraordinary, according to Amy Chmelecki, a leader of the group who spoke with Red Bull about how it all came together. The team braved below freezing conditions, physical injuries, blown up sinuses and pure exhaustion for 10 days leading up to the attempt. They started with a group of 90 women, who over the course of the training were put on a backup team. Jumping in such a tight formation like that requires extreme skill in the air and also a reliance on one another. Any mishap could spell disaster for many others. It was on the 16th attempt to actually break the record that they were successful. And they were really running up against the clock at that point, Chmelecki explained. When the women reached the ground and celebrated, you can just feel the relief and sense of satisfaction.